One of the unique advantages to working at MassChallenge is the significant exposure to new and growing startups with a variety of missions. This exposure can turn into learning opportunities, network building, collaboration, friendships, and sometimes even new life and career opportunities. While it’s a bittersweet mix when the latter happens, MassChallenge always supports and celebrates these moments. And so we have another celebration! 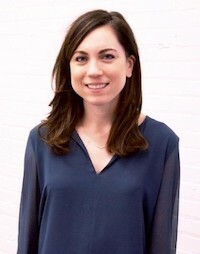 After two and a half years at MassChallenge, Senior Partnerships Manager Jess Russo will be moving onto a new role at Buoy Health, one of our 2019 MassChallenge HealthTech Cohort startups. I sat down with Jess to learn more about her time at MassChallenge and talk about what's ahead for her in her new role. Working in healthcare is amazing because you can see the impact of your work on a daily basis. I also feel like healthcare is naturally “mission-driven” and attracts people that are passionate about their work, which is the type of environment I find most motivating. 2. Tell me about your role during your time at MassChallenge. I joined MassChallenge in Fall 2016 when we were launching the MassChallenge HealthTech program (or as we knew it then, PULSE@MassChallenge), which focuses on bringing together growth-stage startups and the healthcare ecosystem to solve healthcare’s biggest challenges. Since then, I’ve had the pleasure of building relationships with 30+ partner organizations looking to connect to healthcare innovation in meaningful ways. In my role, I work with my team to identify, design and deliver partnership offerings that contribute value to our partners’ innovation efforts. The work we do includes activities like startup sourcing and matchmaking, ecosystem mapping, relationship and project management, and custom events. 3. What did you enjoy the most about the work that you did at MassChallenge? I’ve appreciated the opportunity to work on something from the beginning and see the positive results of the operations and process I had the chance to create. When I started in 2016, I was the first Partnerships Manager fully dedicated to healthcare and was able to design and implement my own process for partner management and success. Since then, I’ve had the opportunity to lead partnerships strategy for the MassChallenge HealthTech program, manage others, and scale the approach I created, which has been really rewarding. I’ve also enjoyed the variety of working at MassChallenge. With new startups and partners coming in every year, all of the events we attend and plan, and the wide range of work we do with our partners no two days have been the same. Another benefit of working at MassChallenge has been getting to know the innovation ecosystem in Boston. It seems like MassChallenge is at the center of everyone working on cool things in Boston from government organizations, to corporations, to entrepreneurs, and everything in between. I’ve learned so much about what’s happening here in Boston and feel like I’ve gotten a bit of a civic education in addition to knowing what’s going on in the startup world. Recently, MassChallenge has provided me opportunities to travel outside of Boston as well with trips to cities like New York, San Francisco and Las Vegas where I’ve been able to witness our impact outside of the New England community. Working on the MassChallenge HealthTech program specifically, I've been lucky to see relationships play out between startups and some of the world's biggest healthcare companies that make up our partner community. In an industry where there is a ton of opportunity for innovation and disruption, its been an incredible opportunity to see the impact of the work our startups and partners have achieved together and know I've played a role in making the connections that have made it all possible. 4. 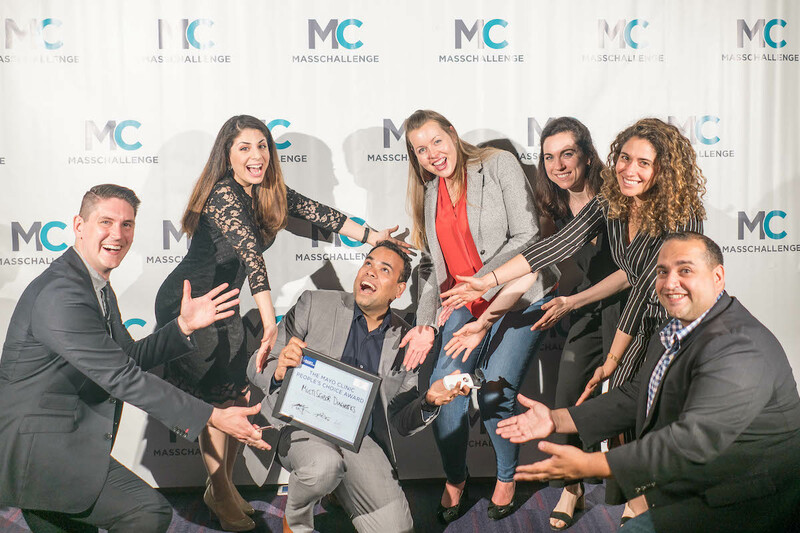 What will you miss about MassChallenge? I will miss the people! I have made so many valuable connections both internally and externally during my time here. The MassChallenge team is full of smart, interesting people who are willing to work on hard problems. It’s definitely an environment of learning and collaboration that has made work more fun. I’ve also made connections with partners, startups and other people in the MassChallenge network that I know will stay with me in the future. 5. We are so sad to see you go! Where are you headed next? I’m starting a new role as Director of Customer Success at Buoy Health. Buoy is a Boston-based health tech company that develops digital solutions to help people from the moment they get sick to start their care on the right foot. Buoy is currently part of our MassChallenge HealthTech 2019 cohort, so I won’t be leaving the MC family just yet. 6. What are you looking forward to in your next role? I’ve always been passionate about startups and technology, and am looking forward to being in a role where I’m working close to a product I’m excited about. As Buoy is a growing startup, I’m fortunate enough to join the team at a time where I’ll be able to have a direct impact in influencing customer strategy and building out a team to drive success. 7. What advice would you give to someone on their first day of working at MassChallenge? Recognize that every role at MassChallenge offers you the opportunity to make a significant impact. Take advantage of this environment to become a leader and have your voice heard. 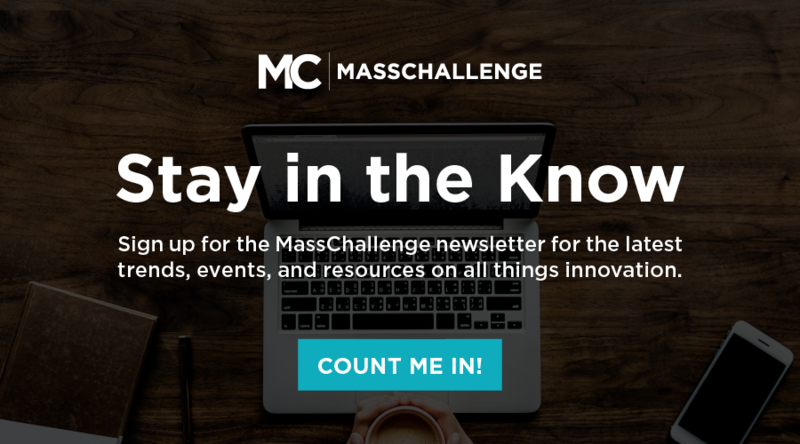 Advance your career at MassChallenge. Learn more about our open positions on our Careers page.